we present ultra modern semi automatic shrink machine with easy pc board replacement and high speed transmission. It is offered with adjustable package guides and low voltage control circuit for operator safety. 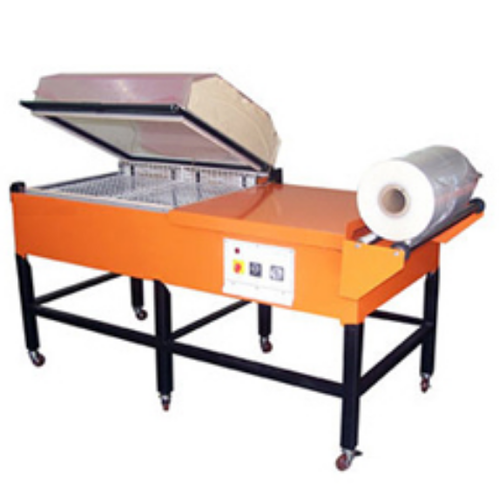 We are able to emerge in this packaging industry as a reputed manufacturer and supplier of a Shrink Wrapping Machine. The machine is mainly used in packaging unit of beverage industries. These are extensively used for packing bottles and cans, drinking water, fruit juice and dairy products. Our machine is capable of transferring, membrane packing, sealing and cooling functions automatically. Installed with PLC automatic program control system, the Shrink Wrapping Machine provides stable and reliable performance.